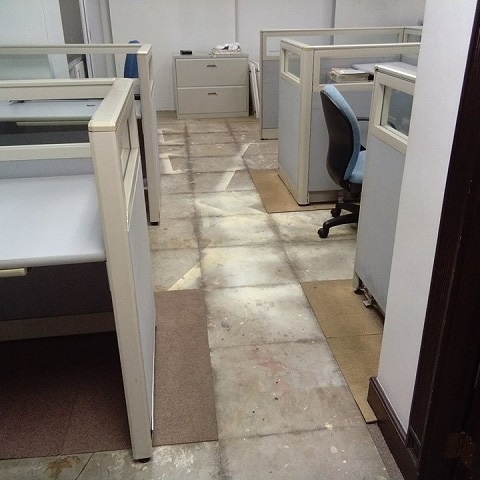 So if it’s high time for your office flooring renovation do not worry as this is just a matter of finding the right supplier that has both the skills and materials to successfully do the job. 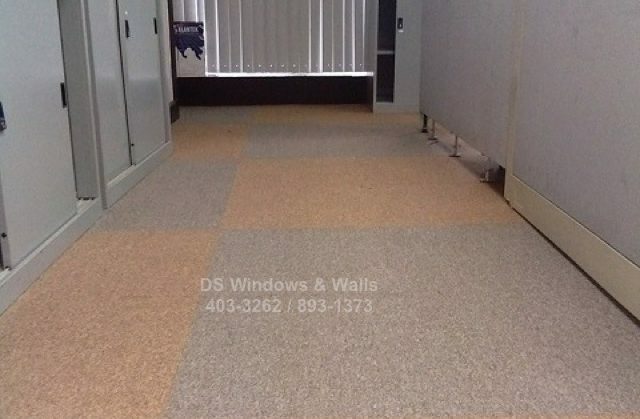 DS Windows and Walls has been in the business of carpet installation and renovation/replacement for more than 10 years already catering to both business and residential clients. We also have a wide range of carpet tiles to choose from. You may browse some of our selections at https://www.carpet.com.ph/carpet-tiles/. 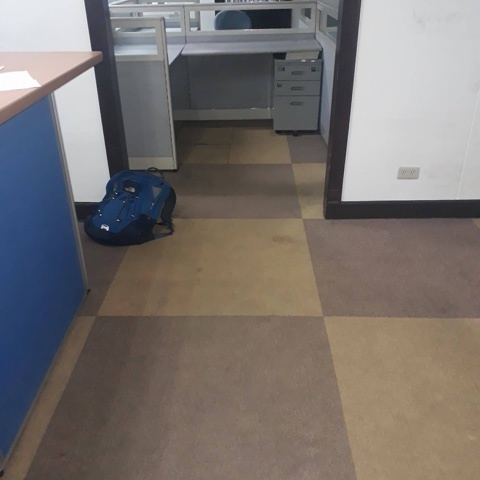 Our client from Ortigas Center Pasig City has old carpet tile flooring that needs replacement (above photo) and we were contracted to replace their existing carpet tile with a similar color and pattern. The color/pattern chosen was ST 2105 CHESTNUT and ST 2133 EARTH in alternating arrangement much like their old ones. Pattern-wise you can incorporate more than 2 colors and is only limited by your imagination and preferences. The photo above is what it looks like after stripping the old carpet tiles and the next photos are what it looks like after replacing with fresh carpet tiles. 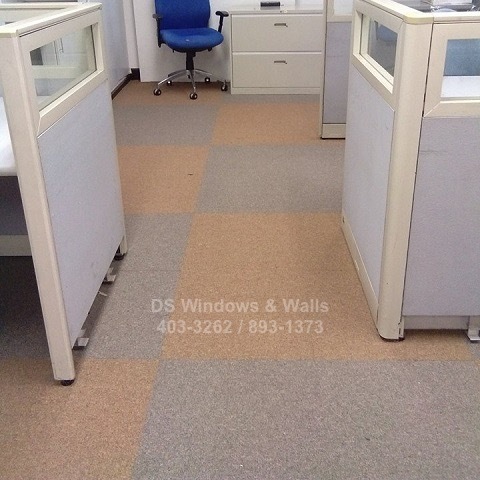 Renovating your existing flooring with quality carpet tiles is one of the best of way to freshen up your existing office. It will look clean and you can experience softer footing after the installation. Investing in new carpet tile flooring is something that you’ll not regret. It is always a nice-to-have in any office setting that can impress both your guests and clients. We offer free ocular measurement if you’re within Metro Manila. For a budgetary price, just call us and provide us the total sq.m. 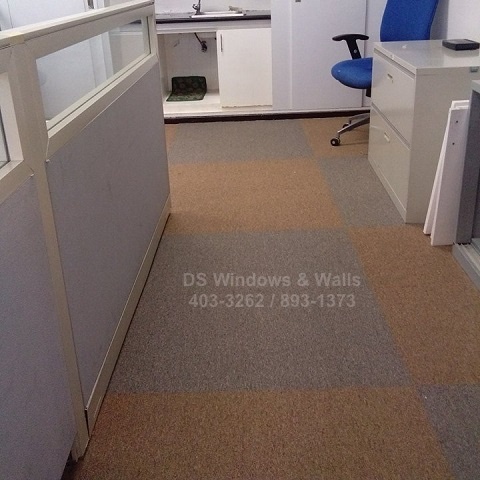 of your office space so we can submit a formal quotation. You can also call us at (02) 403-3262, (02) 893-1373, (02) 668-9668, 0916-311-3909. Visit us also in our mall stores listed in our contact page.